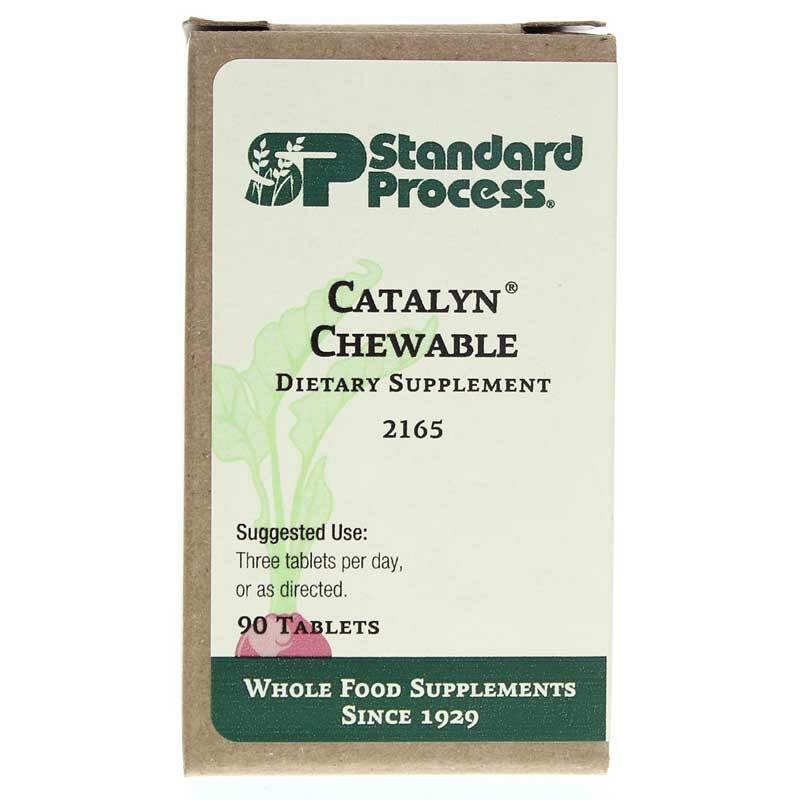 Catalyn Chewable by Standard Process contains vital nutrients from whole food sources. 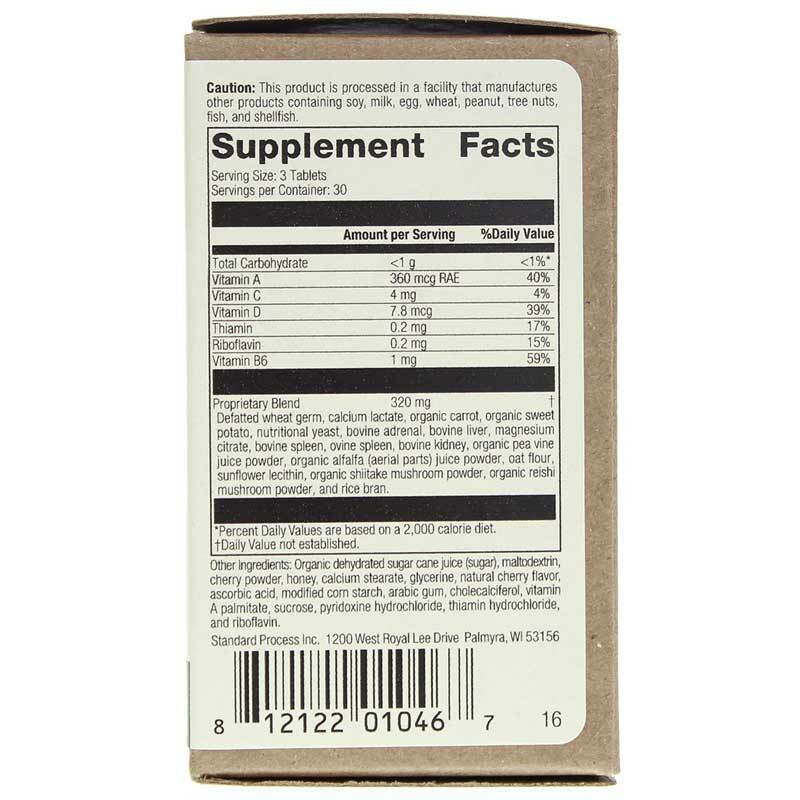 Other Ingredients: Dried cane juice, maltodextrin, honey, calcium stearate, natural cherry flavor, glycerin, arabic gum, ascorbic acid, pyridoxine hydrochloride, starch, sucrose (beets), vitamin A palmitate, cocarboxylase, riboflavin, and cholecalciferol. Adults: Three tablets per day, or as directed.